We provide rental cars in Bucharest at low prices. We provide for rent, cars with automatic gearbox in Bucharest, at affordable prices. 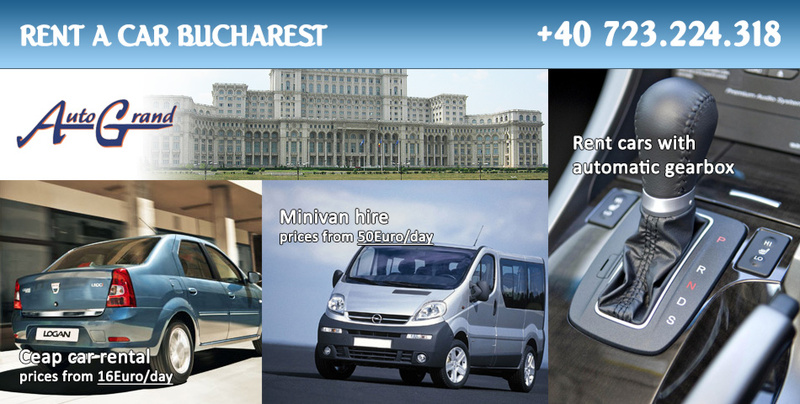 For groups of 4-8 people we can offer you minivan or minibuses for hire in Bucharest. We offer a complete range of rent a car services in Bucharest for your complete satisfaction. Our company's headquarters are located in Bucharest and we offer car rental services with or without chauffeur to foreign and Romanian citizens. Bucharest is the capital municipality, cultural, industrial, and financial centre of Romania. It is the largest city in Romania, located in the southeast of the country and lies on the banks of the Dambovita River.